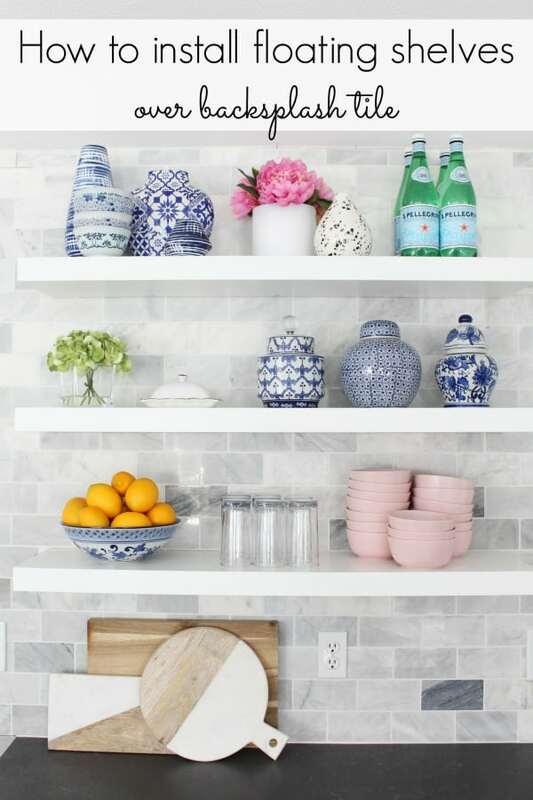 How to install floating shelves over tile - easy tips and tricks! 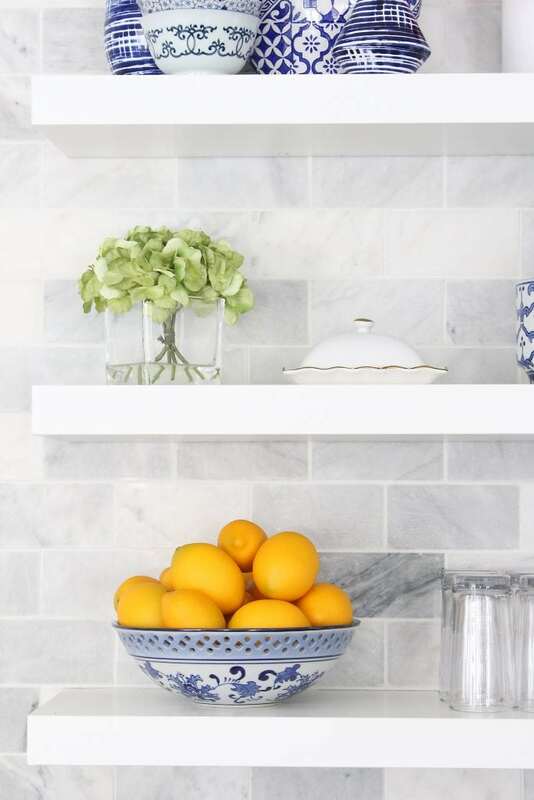 Today we’re going to show you how to install floating shelves. 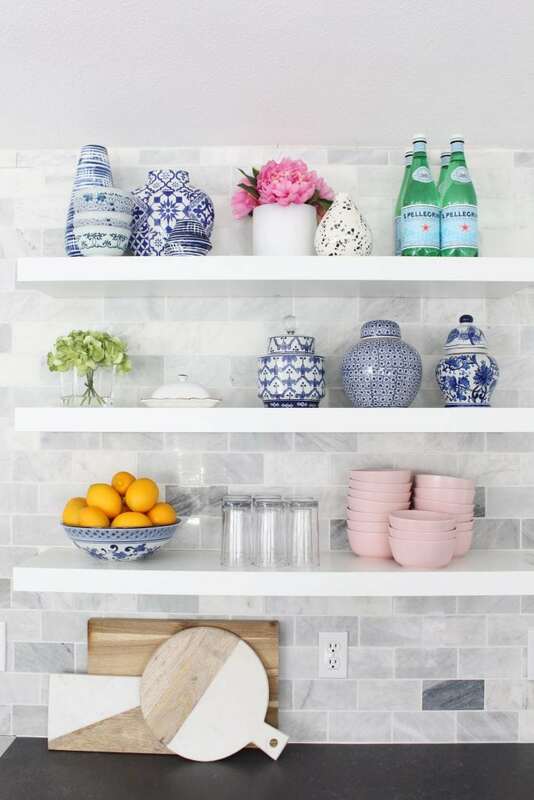 Installing shelves over tile can be especially tricky but with a few tips and tricks, it’s really not very difficult at all! The shelves I got are from Ikea (LACK) but since I don’t have an Ikea near by, I ordered them on Amazon Prime. They’re more expensive but it would have cost me more to drive 2+ hours to Ikea and pay for gas and a babysitter. It saved me a lot of time too! Sometimes the convenience is worth the extra cost. haha! If you have an Ikea they’re only $15 each! SCORE! 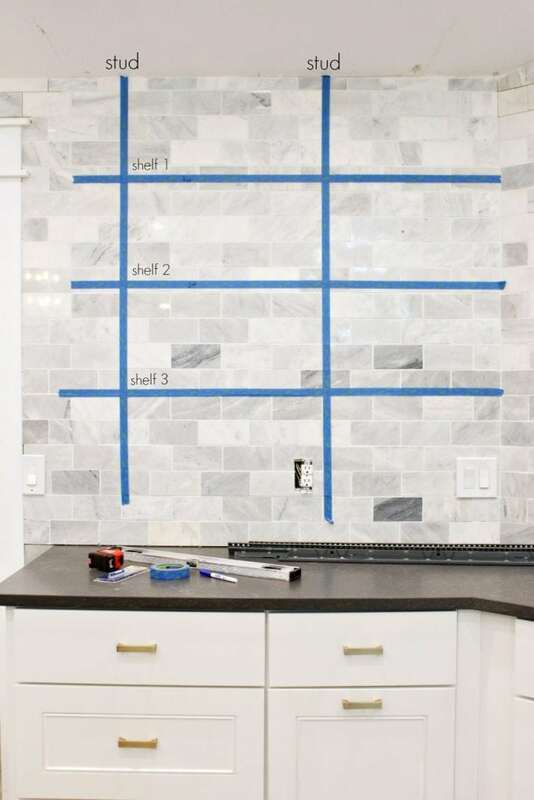 Find your studs in the wall – Before I tiled the backsplash wall in my kitchen, I marked where the studs are on the ceiling. 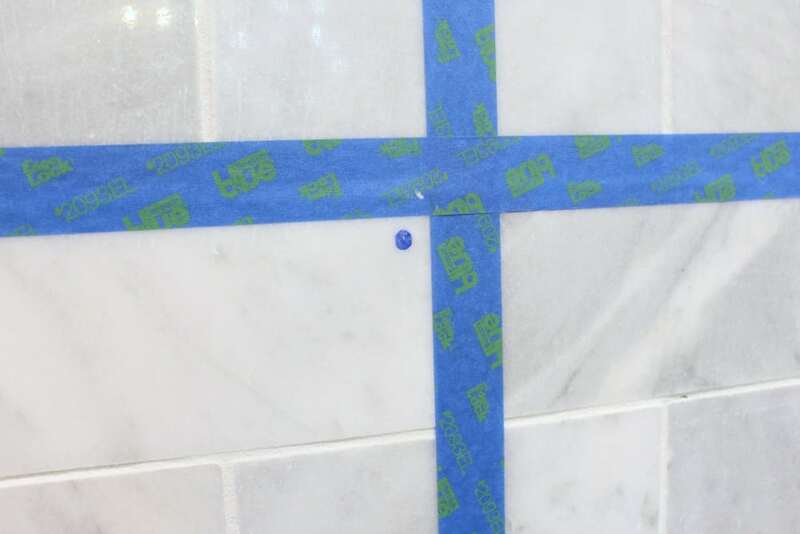 If your wall is already tiled and it’s not an exterior wall, you can find the studs on the back side of the wall with a stud finder and measure where they are. You’ll want to screw your brackets into at least one (if not more!) studs for maximum stability. Once the wall was tiled, I used painter’s tape to mark my studs vertically. Decide on height and spacing – spaced my shelves 13″ apart and 17″ above the countertop. The rest of my cabinets sit 17″ above the countertop so this made the most sense to me. The top shelf is also 13″ from the ceiling. 4. 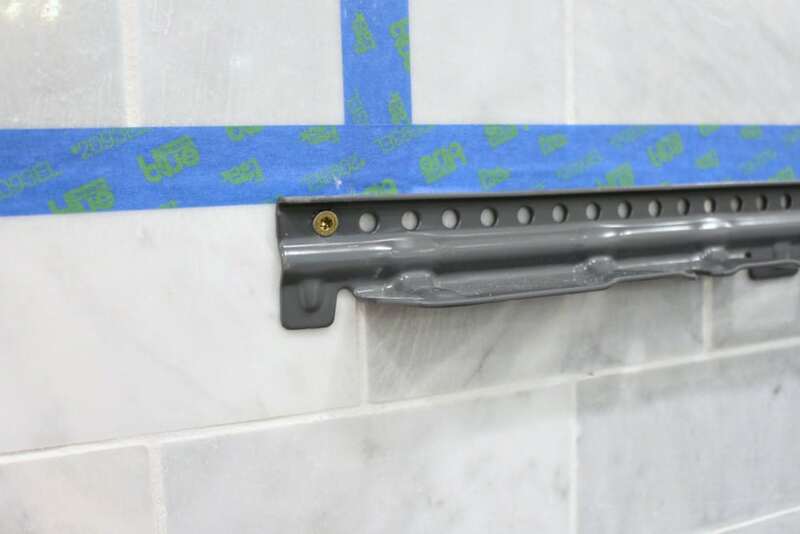 Install Brackets – Next, I found the center of the wall and measured to find the center hole of the shelf brackets. Instead of a hole, these were marked with a diamond in the metal so that was super helpful. 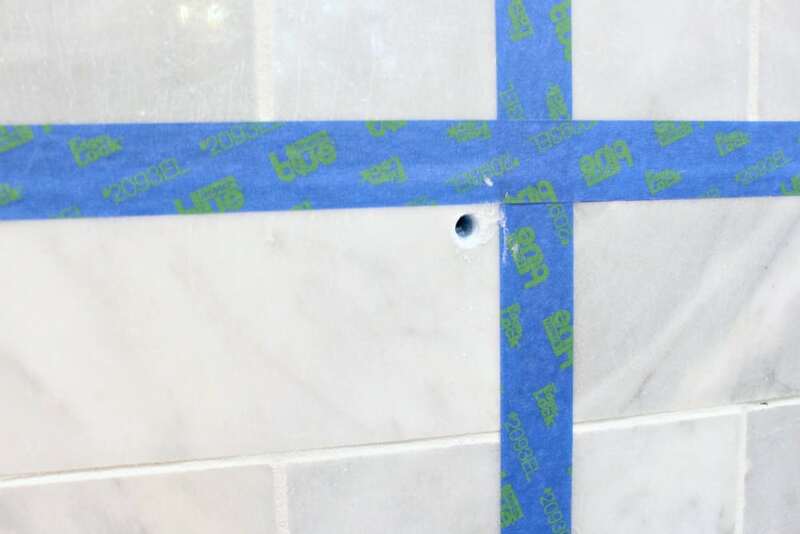 Next, we drilled through the marble tile to make holes for the screws. I held up the shelf bracket and used a dry erase marker to mark the hole that will go over the stud. *Note* the stud is to the left of each strip of tape. 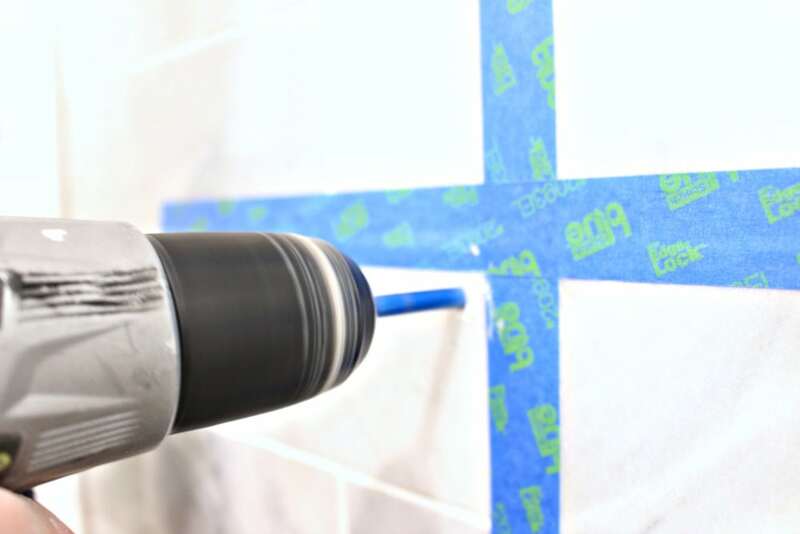 Once you have your mark, use a diamond drill bit for drilling through tile. I used the 5/16 in. Pro Wet/Dry Diamond Drill Bit from Amazon or Home Depot. We used it dry but if it starts to heat up a lot when you’re drilling, you can spritz the area with water. Finally, use long screws (I think we used 2″) to install the brackets into the studs. Make sure that your brackets are level during this step! 5. Attach Shelves – these shelves have a slot on the back side that you slide over the installed bracket. Once slid over the bracket, insert the included screws in the holes on the bottom of each shelf and wrench to tighten them into place. 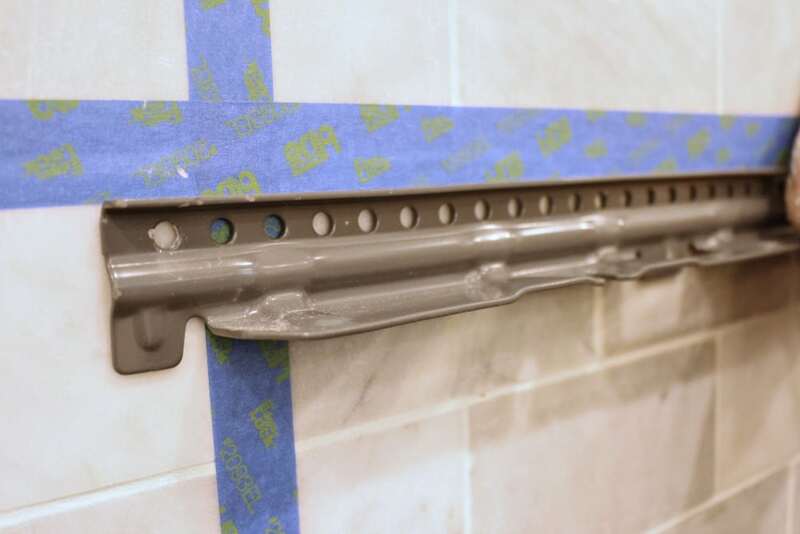 Each shelf holds up to 33 pounds and was even more solid feeling once installed over the tile as compared to the drywall. In my honest opinion, I was nervous that they were going to feel loose or flimsy once installed and they are shockingly solid. Well done, Ikea! Thanks! This is exactly what I was looking for! 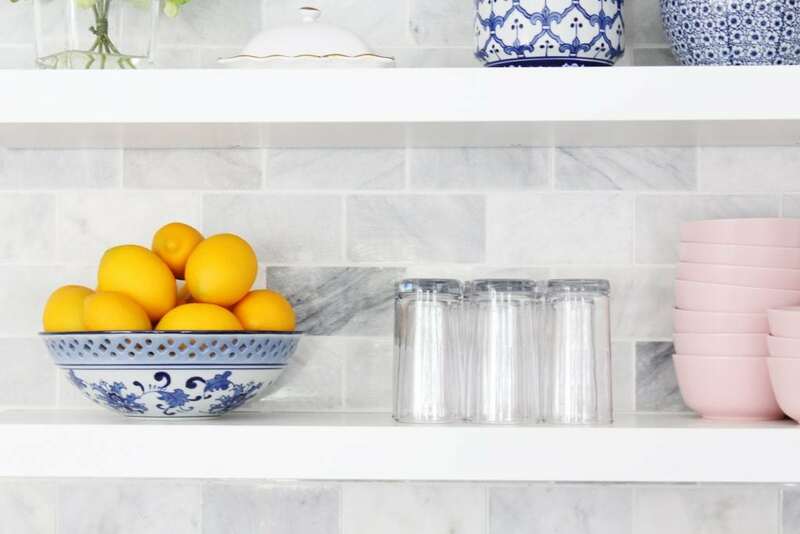 What kind of material is your tile? 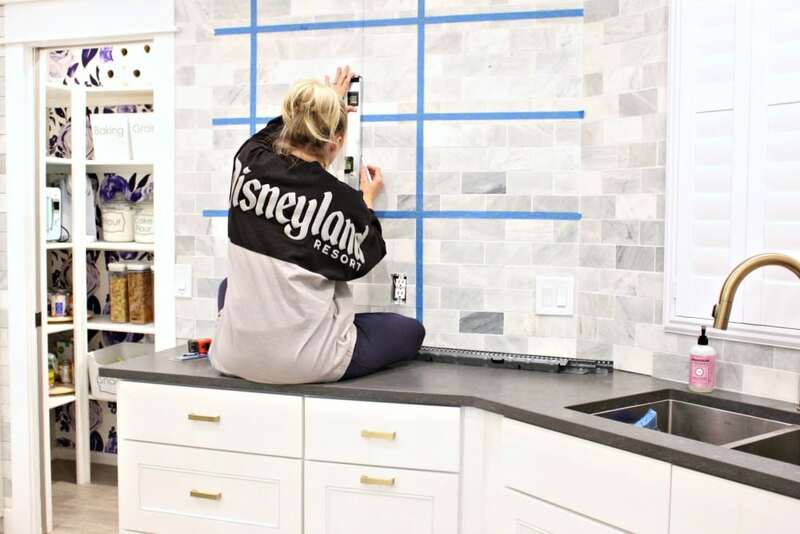 If you were starting from scratch with plans to backsplash AND hang floating shelves, would you do the shelves first of the tile first?